AUSTIN, Texas (August 1, 2017.) 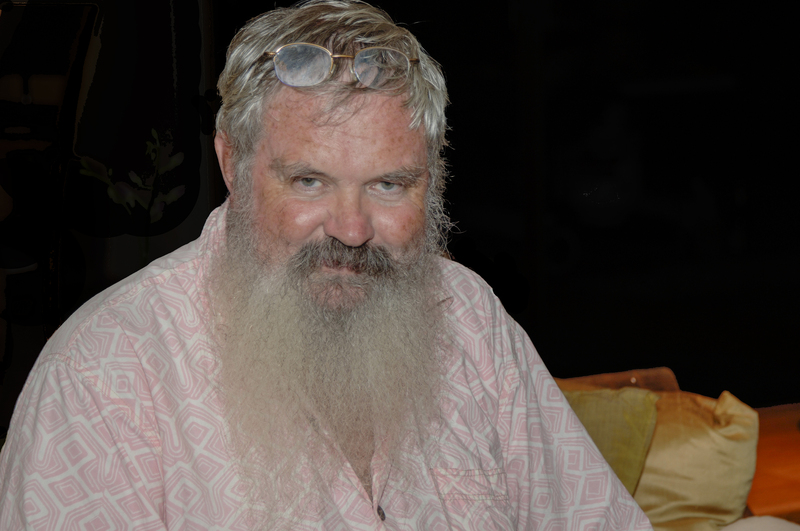 — Iconic Chinese medicinal herb pioneer Bill Brevoort, 75, passed away at his home in Kona, Hawaii, on July 28. He had been recently diagnosed with metastatic melanoma. Bill was a truly remarkable man — intelligent, intrepid, focused, and highly spiritual. He and his wife Peggy founded East Earth Herb in 1971, the first company to educate and market to the natural food community about the healing and vitality-empowering aspects of traditional Chinese herbs. The East Earth Herb booth was a popular location at many natural food trade shows and alternative medicine conferences in the 1970s, ‘80s, and ‘90s, where Bill would often listen to a person’s pulse, look at their tongue, and frequently perk them up with one of his special blends of Chinese herbal tonic elixirs, teas, and other creatively blended formulations. East Earth’s “Dragon Eggs” line of Chinese herbs was most likely the first American-made line of Chinese herbal formulas. Bill and Peggy are also largely credited with creating the initial interest in the Pacific herb kava with their popular after-conference kava parties in the 1990s. A practicing Buddhist most of his adult life, Bill was an intensely spiritual person, with a wide range of interests to try to satisfy his strong intellect. Among his many interests, he was an avid amateur astronomer and dedicated vegetable gardener. Numerous old friends and colleagues of Bill’s have written ABC Founder and Executive Director Mark Blumenthal with some thoughts and reminiscences about Bill. Noted medicinal plant sustainability authority Josef Brinckmann, at one time an employee of East Earth and now for many years at Traditional Medicinals, wrote: “One of my teachers, I learned so much from Bill in the three years that I worked and traveled with him (1995-1997) — not only about the traditional uses of almost everything in nature codified in the Chinese systems of medicine (of animal, botanical, fungal, metal, and mineral origin), but also about the past, present, and future of Buddhist practice. I was very fortunate to walk, for a time, with this truly remarkable man. Avid bicyclist and former Whole Foods Market veteran Terry Wittenberg wrote: “My favorite memory of Bill and Black Belt [a type of Chinese tonic herbal ‘fruit leather’] — In the summer of 1989 we took a 3-week vacation for some bike racing. From home (Texas) we first drove to upstate New York for a 24-hour race and afterwards stayed in the area for almost a week. Next race was in St. Louis for the 540-mile Race Across Missouri. On our way to St. Louis we stopped overnight in Indianapolis. When we were unpacking at the motel, I left our small trailer open and our box of supplements and herbs (including my supply of Black Belt) was stolen. I called Bill and he mailed more Black Belt to the hotel in St. Louis in time for the race. Bill saved the day." ABC will provide a more biographical follow-up tribute to Bill Brevoort in ABC’s monthly e-newsletter HerbalEGram and in HerbalGram. If you received this email from a friend and would like to subscribe to our email list, click here.